3776 metres. 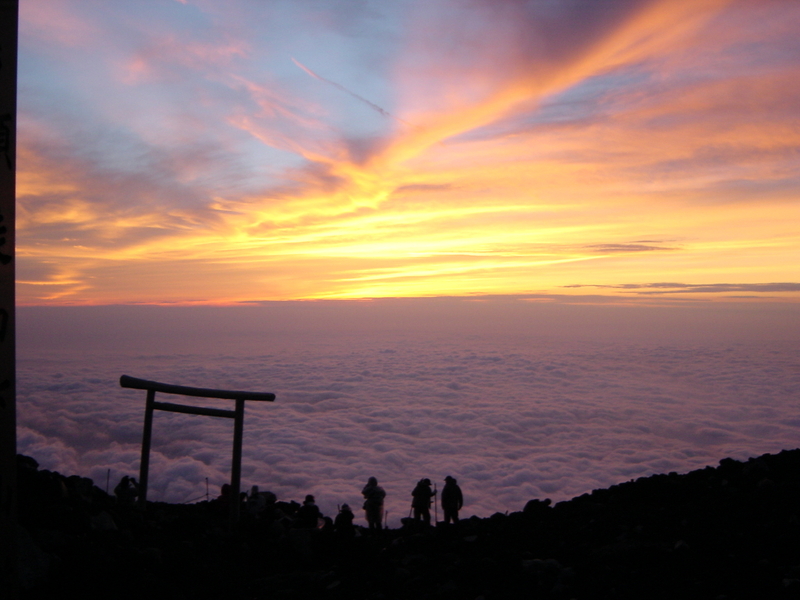 In the morning at a very nice sunrise of Fuji-san. This was a very nice trip. That is a really beautiful sunrise! looks as if you can walk across the horizon!